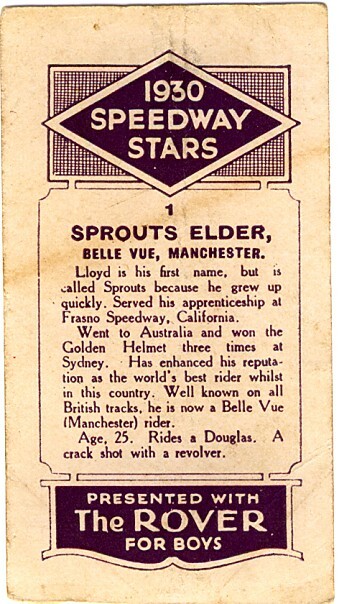 This is a full set of 12 speedway cards, free with issues of the "Rover for Boys" comic. 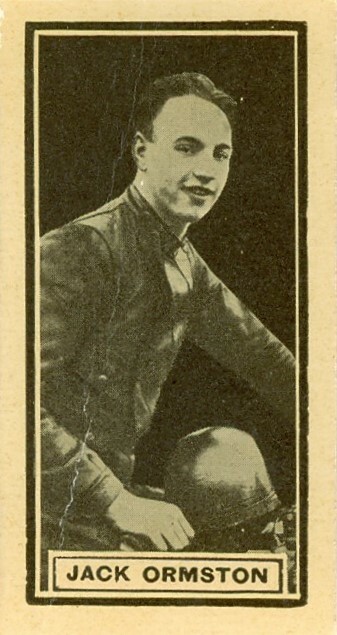 Similar sets of cards were presented by the Wizard and Adventure comics. 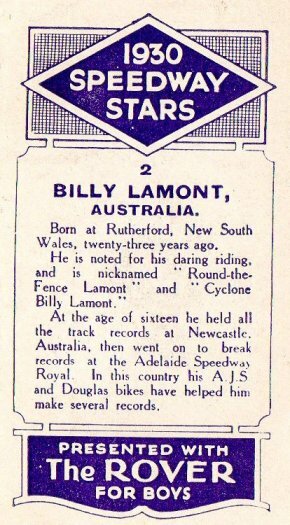 Billy "Round The Fence" Lamont was one of the greatest riders of his era. 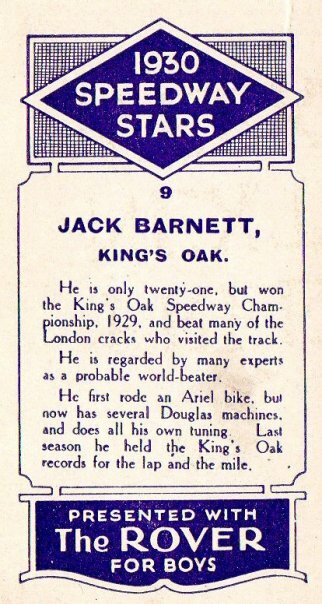 He used British bikes AJS and Douglas. 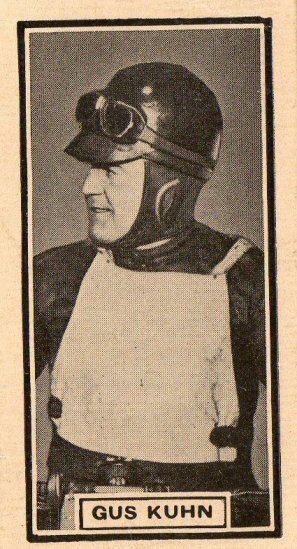 AJS got its name from the initials Albert John (Jack) Stevens, one of 3 Stevens brothers who started the company. 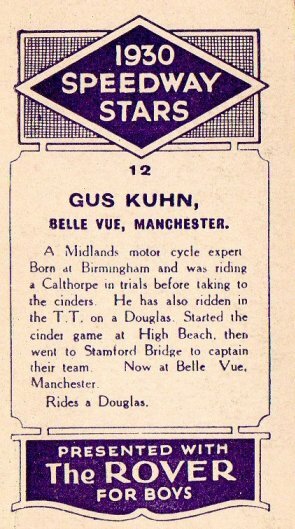 Another Douglas rider. 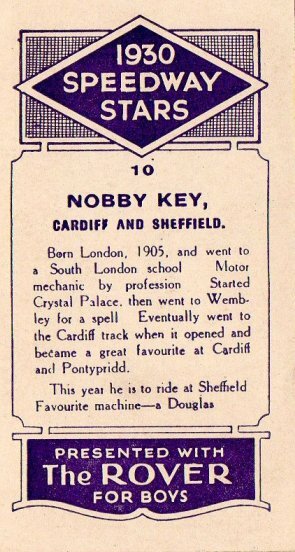 Douglas were based in Bristol UK. 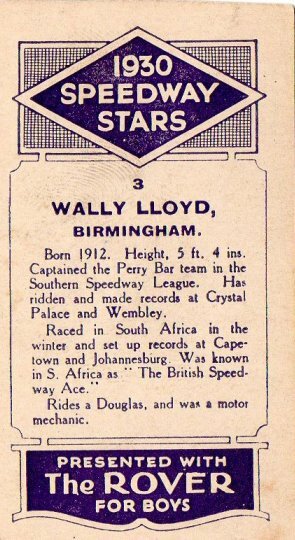 Their machines dominated speedway around 1930. 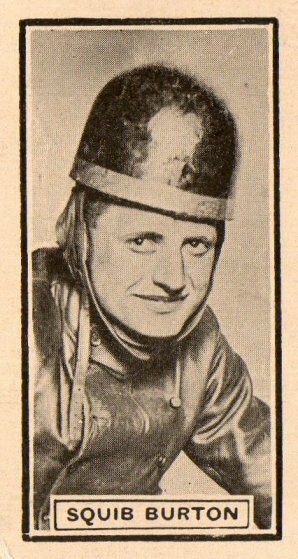 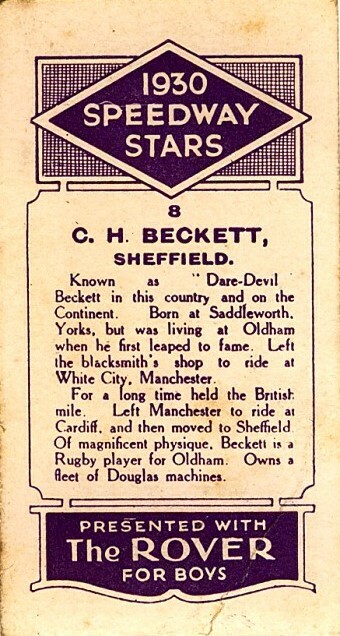 Dare Devil Beckett was a Blacksmith turned Rugby Player and Speedway Rider. 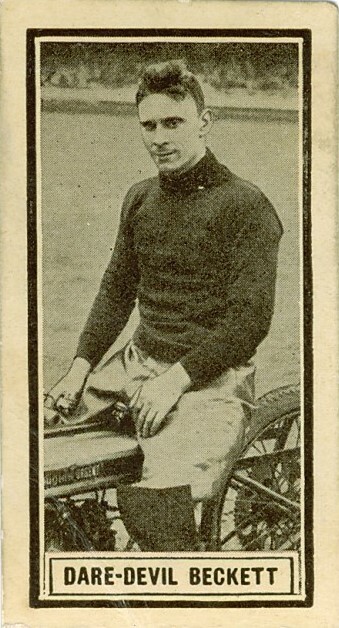 The card says he owned a "fleet" of Douglas bikes one of which he is pictured sitting one. 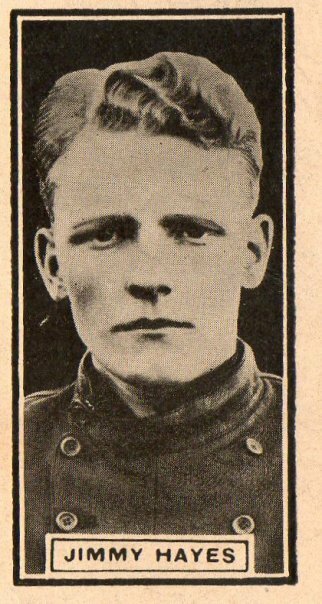 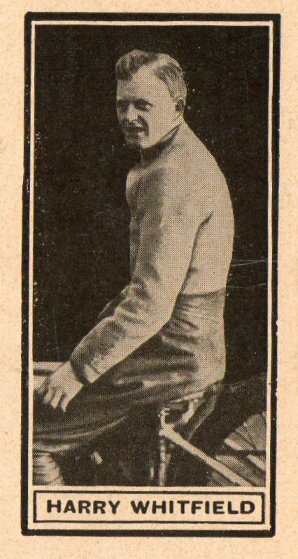 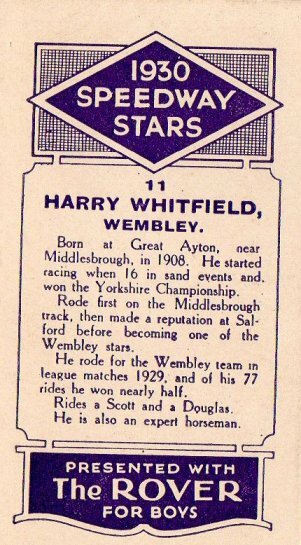 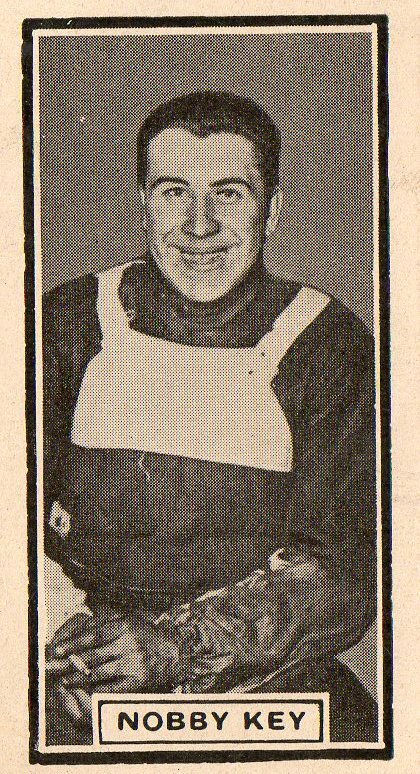 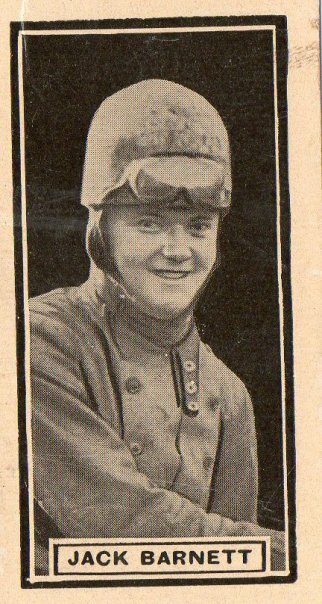 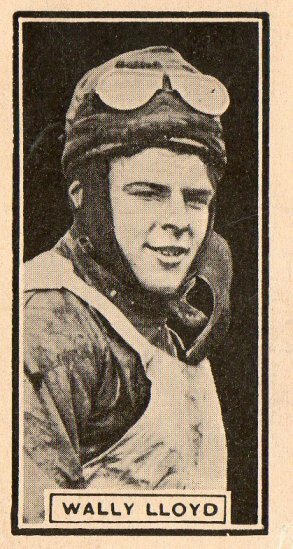 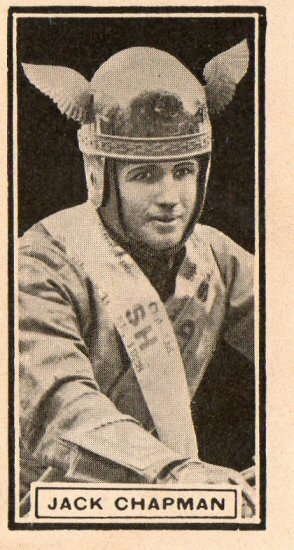 Harry born in the north east of England had a great career as a rider riding most notably for Wembley and later turned promoter at Newcastle in his native north east. 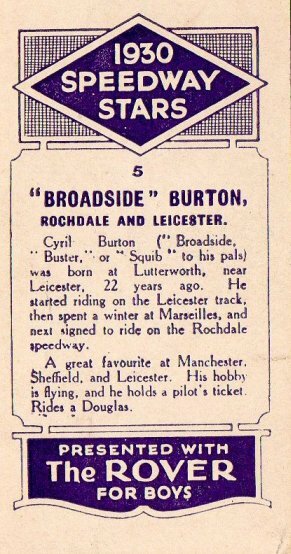 He used a Scott machine and a Douglas. 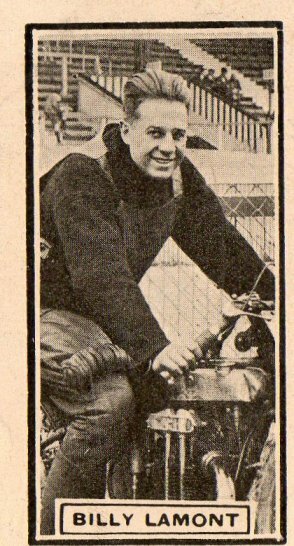 The Scott is interesting as it was a 500cc 2 stroke machine which would have made a completely different exhaust sound to the other bikes, which were all 4 strokes. 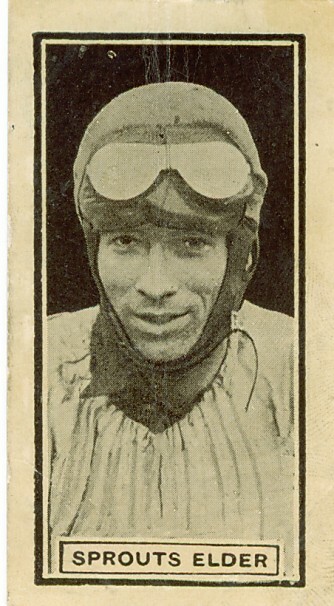 John says: A complete 12 card set of Rover Comic cards, cigarettes not involved in this collection! 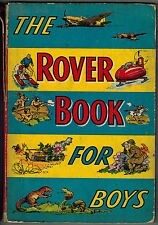 I am 64 and have never set eyes on the Rover comic. 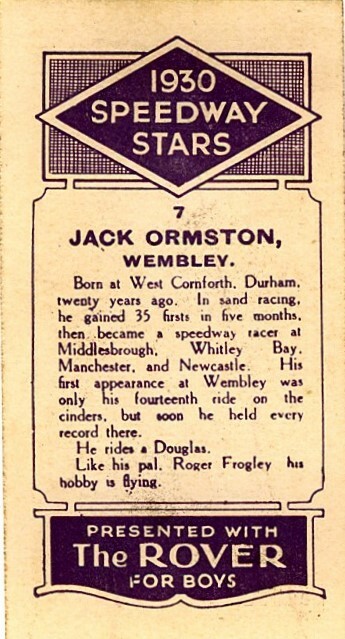 I preferred American comics. 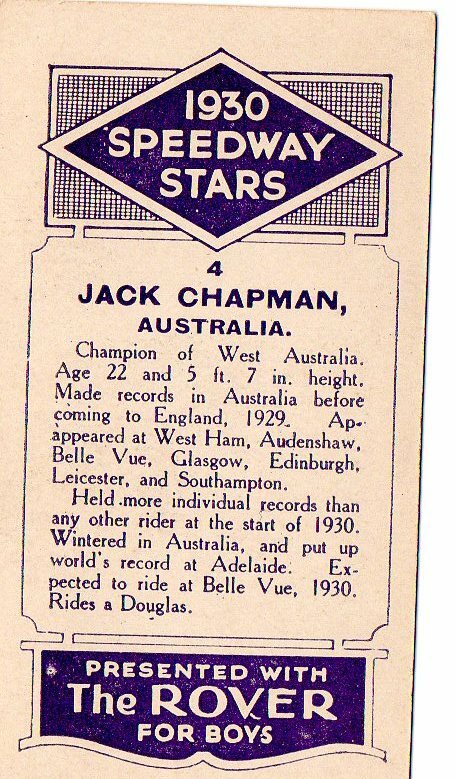 Spiderman, Fantastic Four, Thor etc.